Imagine going into a restaurant and not quite knowing what to expect. 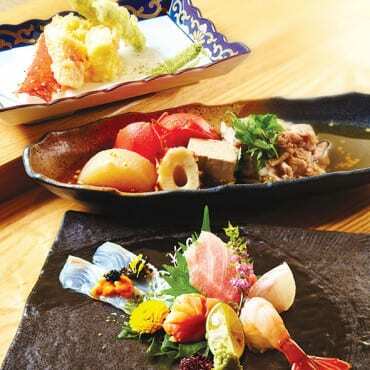 Omakase describes a type of Japanese dining where the chef decides what you eat. Here are three restaurants to enjoy an amazing omakase experience. That is what omakase means. Derived from the phrase “makaseru”, which means “to entrust”, omakase is style of dining where the chef decides what the customer eats. This usually involves creating dishes based on whatever is in season, and the freshest produce available. If you’re not familiar with omakase dining, you may find the concept a little strange at first. However, dining at a top-quality omakase restaurant is often a magical experience where you get to witness the chef’s creative genius. Because omakase restaurants tend to have smaller, more intimate settings, you’ll get to interact with the chef to find out more about the dish, the type of ingredients he uses and where they’re from, why he’s decided to use a particular preparation method, the best way to enjoy the dish, and so on. It’s almost like a theatrical performance where you get to pick the mind of the artist. 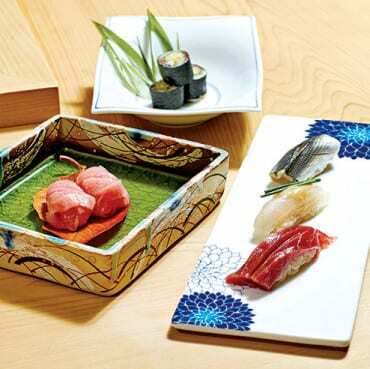 A typical omakase menu comprises of a variety of courses, from appetisers to desserts. The chef will present a series of dishes, usually starting with the raw dishes and lighter fare before proceeding to heavier dishes. While some omakase restaurants focus exclusively on sushi, others also incorporate other cooking methods such as grilling or simmering. 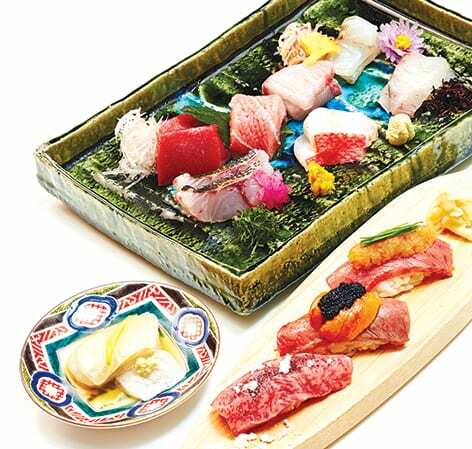 Dining at an omakase restaurant is a delightful sensorial journey; every meal is a pleasant surprise. According to Chef Sawada, he owes all his knowledge and skills as a chef to Chef Tatsuya Nakayama, his master at Kaiseki Botan, a traditional omakase restaurant in Tokyo where he worked at for 10 years. Today, Sawada is an acclaimed chef in his own right, having worked in a number of top restaurants across the region. He took over the helm at Hachi in April 2016. 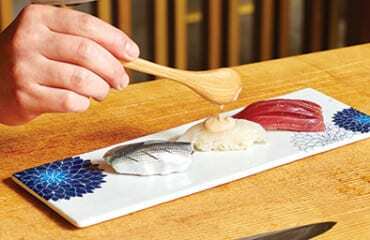 What makes omakase at Hachi Restaurant special? Hachi is a true omakase restaurant in the sense that we don’t have an a la carte menu at all. This means there is very little food wastage as we design our menu based on what we have. At Hachi, we are also fastidious about food presentation; this is why we’ve invested over $350,000 on handcrafted Japanese crockery. How do you decide what to serve to customers? 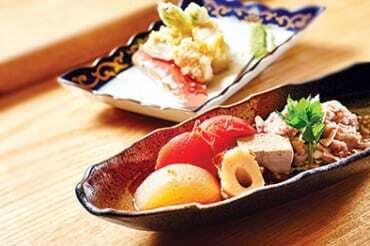 In omakase restaurants in Japan, they typically create a menu based on the produce provided by their suppliers. 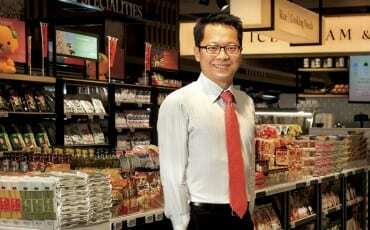 However, because we don’t have easy access to ingredients, we do things a little differently in Singapore. We usually have a menu in mind before we order the ingredients. 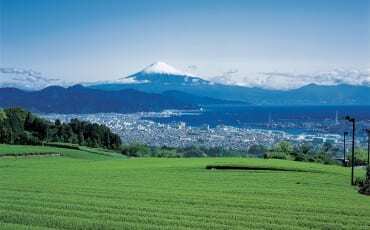 Our ingredients are flown in four times a week from Japan. Most of our ingredients are from Tsukiji Market, but we also have suppliers from Osaka and Fukuoka. Before serving a customer, I’ll try to find out if they have any dietary restrictions or preferences. I try my best to accommodate their requests but it’s not always easy, as certain dishes require a lot of prep work so I cannot always decide on the spot what to serve. What is the most important thing when it comes to omakase? The quality of ingredients is paramount. However, it’s also important to have a strong understanding of the ingredients so you know the best methods to use to bring out the flavours and textures. 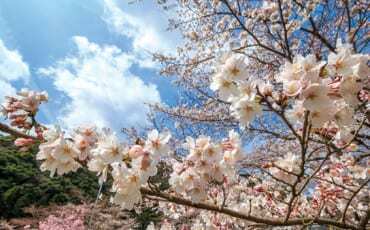 We are very fortunate because each year, our company organises research trips to Japan where we get to dine at top-quality dining establishments. These trips are always interesting and they help me see things from the perspective of a customer. However, when it comes to creating menus, I still prefer using my own ideas. 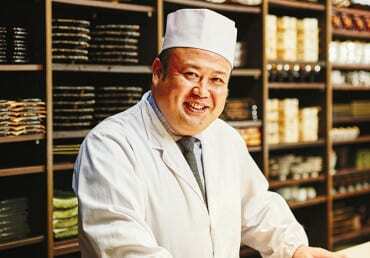 Chef Harada is passionate about creating good sushi and sharing his knowledge with his customers. “The satisfaction of my customers is very important to me,” says Chef Harada. 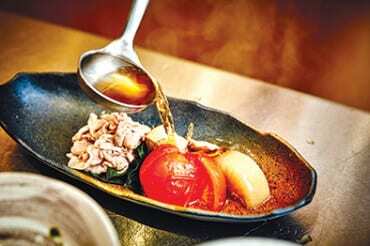 The affable chef has many years of experience under his belt, moving from Tokyo to Hong Kong and back to Japan for a short stint before arriving in Singapore in 2013 to start Sushi Mitsuya. What is your philosophy towards omakase? Our concept is similar to a school. 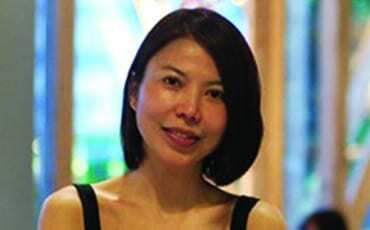 I enjoy educating and interacting with my customers on the seasonal ingredients we use, why we use a particular cooking method or ingredient, the type of rice we use, and so on. 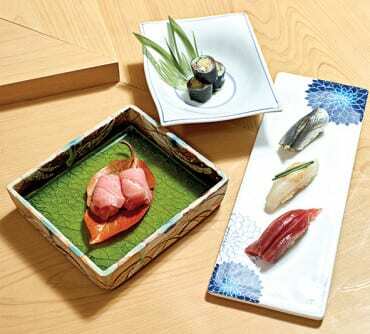 In Japan, many of the chefs at sushi restaurants can’t speak English very well, so it’s hard to have that communication with non-Japanese speakers. How do you usually plan your menu? Our menu is designed around the season’s freshest produce. We bring in our ingredients four times a week from Japan — about 80 percent are from Tsukiji Market in Tokyo, and the other 20 percent are from various suppliers in Hokkaido. I usually change the menu about once a month but for our regulars, I try to tweak the menu so that they get to enjoy the ingredients in a different style. Tell us about some of the challenges you face as an omakase chef. Customers are getting more and more discerning. Many of them have eaten at top sushi restaurants in Japan and would often share their experiences with me. Some of them ask very technical questions so I’m always kept on my toes. However, I enjoy this as I believe this is the point of having a sushi counter — for the customer and the chef to have direct communication. 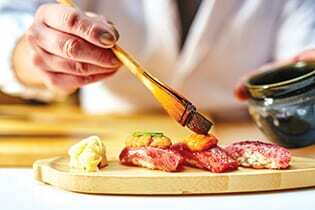 A good chef is able to gauge a customer’s reaction and pre-empt their needs. For example, if the chef beside me is preparing some sea urchin and the customer seems interested, I will include it in their menu. I will also observe the type of drink they ordered so I can pair the dishes to their beverage of choice. 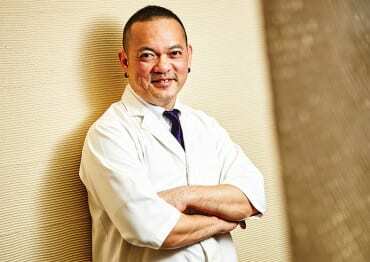 If you were a regular at the Pine Tree Club (now known as The Pines Club) or Nogawa Restaurant from the mid- and early-90s, you may recognise Chef Leo, who honed his skills at these fine establishments. 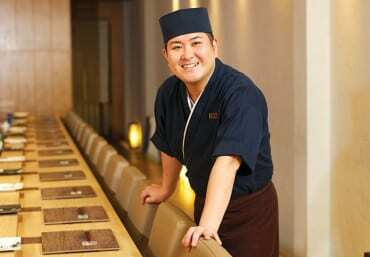 Today, he continues to flex his creativity as a chef at Ginza Yoshihiro, located with the Marina Mandarin hotel. What makes the omakase at Ginza Yoshihiro unique? king crabs, and abalones. If the flavour of the broth is too strong, it will overpower the ingredients’ subtle flavours. 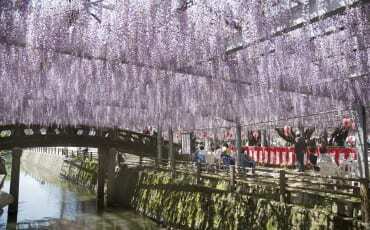 s grown the number of sakes we offer to 200. The second is knowledge. 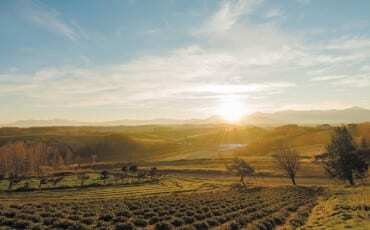 A lot of Singaporean customers are still learning about sake and we need to be able to recommend how best to drink it. The third is food. All Japanese drink sake with food and so at Bar Ippudo, we have a bar menu offering otsumami (finger food) to go with the sakes. The freshness of the ingredients is of utmost importance. It’s also crucial to have a good understanding of your customer’s preferences. At Ginza Yoshihiro, most of our customers are Singaporeans and they tend to prefer the best cuts of meat and the highest quality ingredients. However, they prefer to have small portions of each dish. By understanding what your customer wants, you’re better able to create a menu that is pleasing to them. How do you decide what to serve to the customers? We typically change our menu every two weeks, depending on the ingredients we get. 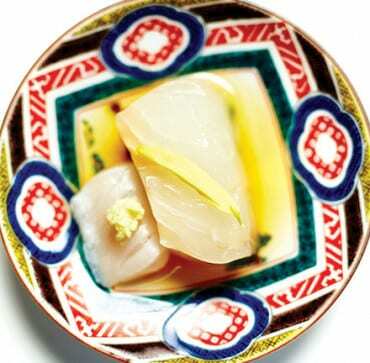 For example, in winter, one of the ingredients in season is shirako (cod fish milt). This can be prepared in a variety of methods — raw, tempura, or in a double-boiled soup. Another ingredient in season is fresh salmon roe, which we usually serve atop chawanmushi with sea urchin. On the spot, based on the customer’s request. I can customise the menu to create off-the-menu items based on their dietary preferences. For example, I’ve created a sushi for vegetarian customers, it’s made with dried gourd topped with sesame sauce, truffle oil, and a bit of edible flowers.